Coming to terms with my alcoholism and accepting that my life has become unmanageable was probably one of the hardest things that I have ever done. Seeing and accepting the insanity of it all seemed even harder! 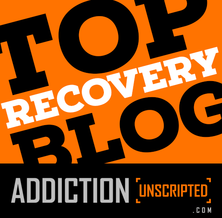 Driven by my addiction and the mental obsession to continue to drink no matter what, I failed to see the craziness of it all! I was definitely not insane! Not at all! And I certainly did not need to be “restored to sanity,” because I thought that everything I did when I was drinking was very normal and thoroughly thought out by me! It was normal to stash my alcohol all over the house, because then it was always available. It was normal to tell elaborate stories to the grocery clerk when buying large quantities of wine. I was being friendly. It was normal to double bag my trash, I mean no one needed to hear all that noise. It was normal to drink large amounts of wine before going out to a bar or club, so I wouldn’t have to drink so much once I got there. It was normal to smuggle wine in a sippy cup to work… I actually thought that it was ingenious! It was normal to start drinking at 7 in the morning when I got off the night shift, and drink until noon, then go to bed. I just reversed the day! It was normal to sell my car after my DUI so I could still drink and not worry about driving. It was normal to go to a bar right after the 10 am breathalyzer at the ASAP (Alcohol Safety Action Program) class, since I couldn’t drink the night before. It was normal to be dating a man twice my age, because he was the same age as David Letterman and Letterman is so cool! It was normal to go to a bar by myself on a Saturday night, because I was just that cool. It was normal for me to buy top-shelf drinks when out, but at home I only drank boxed wine. I was saving money. It was normal to hide the car keys at home so I wouldn’t go out in a blackout. I was being safe. Yes, yes, all normal and quite sane, right?!?! Because, it all made perfect sense to me! Then one day I met a friend for lunch who I have not seen in 15 years! As I started telling her a bit about what was been going on I could see her face get more of the look of disbelief. She finally said, “OMG, I am so sorry, that’s horrible, you’ve been through a great ordeal!” I remember sitting there and thinking, really? That was horrible? Ordeal? I honestly thought it was all just FINE. Now I can laugh about it all, my thinking was so skewed, I still some times have to say, “Normal people don’t do that!” The alcohol is cunning and baffling! Lol! And only because I can so relate, right! Let me know how the books is. I am sure it holds some good insights. I can relate. I laugh sometimes when I think back to when I used to hide money from myself. Can you imagine, I would stash a twenty dollar bill somewhere in my apartment so I would have something left for food when I came back from the bar. Of course, I would inevitably find the money that I hid from myself often just spending it on more booze anyway. When I saw the word “insanity” in step two, it gave me pause because my mother was mentally ill and I lived with the stigma of her mental illness when I was growing up. I was terrified of turning out like her. What convinced me though of my insanity when it came to alcohol was the story of the jaywalker in the Big Book. I remember laughing when I read that the first time because that’s exactly what I did with drinking. Over and over again trying to get it all under control. Wow! 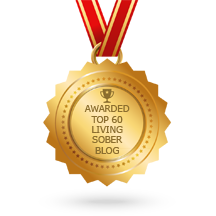 My mom was an alcoholic, so I held lots of the same stigma, just like you. It’s hard when you’re so scared to be like your parent. And yes, the jaywalker story is quite profound. It’s crazy that I remember being so proud that I though of all these things and how great they were, yet now I am like, how the hell did that make sense to me! Crazy. I know there was more! And some were even to crazy to list here. Ugh. Well. It makes for funny conversations, right. Thanks for stopping by. Hugs. It’s so hard to see outside our own actions. Looking back so much of my life was insane. Yes, it was. So crazy. It’s hard to believe that I used to live that life. Yup…I can certainly relate. Nothing made sense back then, looking at it objectively. But ensconced in it, it made total sense. Rationalization and justification are strong things and can make us seem like everything is “normal”. As the BB says, we don’t know the true from false any more. Everything is fantasy, and we adjust ourselves so that our reality fits our alcoholic world. I used to manipulate everything and everyone so that my drinking seemed normal. At least to me. Insanity indeed! I too have done those things on that list, so I get it. Sadly, I get it…lol. Right! I remember sitting in a meeting and listening to a guy talk about some of these and I was appalled that he though of those too! Lol! You mean I was not that clever!? Oh the craziness. Thanks for stopping by Paul! Hugs. I particularly like the one on drinking after work in the AM. For a bunch of years I worked third shift in a factory. So of course, at 7:00 AM, when I got off, I was just like everyone else to have a bottle of wine before going to bed. And besides, it is unnatural to sleep during the day so I needed something to help knock me out as it were. But then when I got up in the afternoon, of course then too, it was evening and there is no problem with drinking then too. That made complete and total sense to me. Omg. Same here. Would drink after I got up at like 8p and drink till 10pm and try to show up for 11pm shift. I know I smelled like booze. I always wondered why they didn’t fire me. Ugh. I ended up quitting. It was too much hassle, with not being able to drink how I wanted too. Lol. So much laughter in reading this. It all became so normal. Wow. It gets me thinking what is normal for me today that shouldn’t be quite so normal? Hmmmm, I love how you make me think Ms. Maggie. Lol! Right! Some behaviors may still not be so normal?! But I know that sober they are much more normal than they were! Good to hear from you Lisa! Hugs.